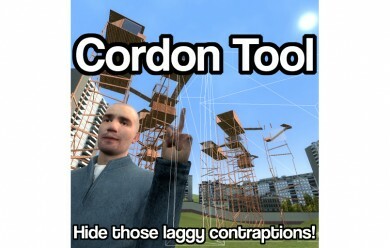 Cordon Tool: Hide those laggy contraptions! 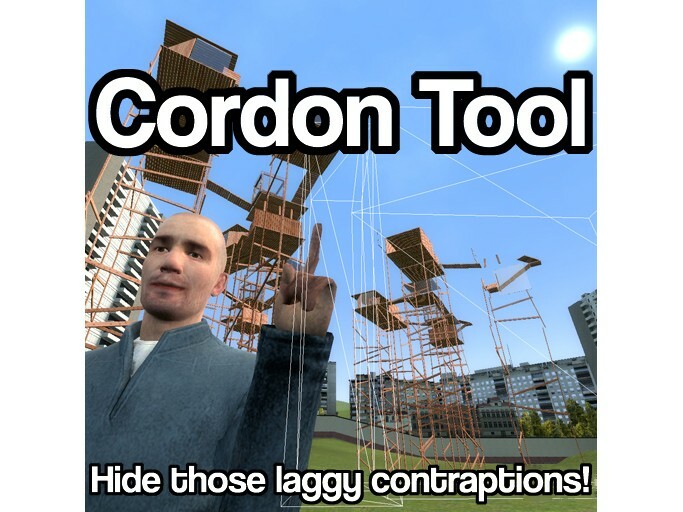 Cordon allows you to define cordons around other people's contraptions (noclip not required, read on) to disable rendering of any props or entities inside. All you need to do is shoot two points opposite each other (at corners) from the contraption, and then you can adjust the height of the cordon just by looking up or down! Anything inside the cordon will ONLY be rendered when you're in the cordon as well. 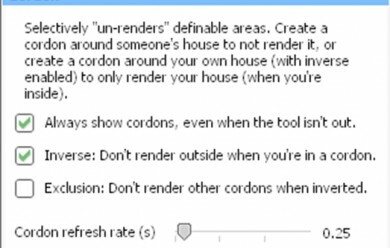 With Inverse mode, the opposite effect applies when you're in a cordon: Only cordoned entities will be rendered, and the rest is invisible. 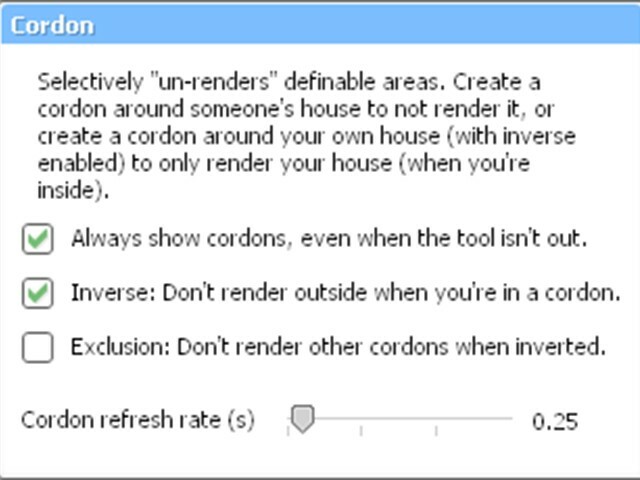 If you'd like to only render your current cordon, Exclusion mode does just that.